As tablets take over the mobile computing market share, laptops must break out from the physical limitations without compromising performance. Already, Samsung has been enhancing the Android platform with multi-window capability to let consumers run multiple apps at the same time, become more like Microsoft Windows. Personally, after trying Android hybrids like ASUS Transformer, Android OS still lacks the versatility to work with keyboard and mouse. After reviewing the Dell XPS 11 for a few weeks, I have to say that it is going to be a fantastic laptop for the consumers who desire a lightweight and efficient laptop which offers multiple interaction options, complete with a healthy battery life. It’s already on sale in Singapore starting from S$1699, but I expect some competitive pricing with the nearing of the annual IT Show 2014. The Dell XPS 11 design is simple yet effective. Completely covered with rubber-coated carbon-fibre, it is comfortable to touch without the cold aluminium feel nor the creaky plastic build. The interior corners are framed with the XPS signature-look aluminium for a classy and structure reinforcement. 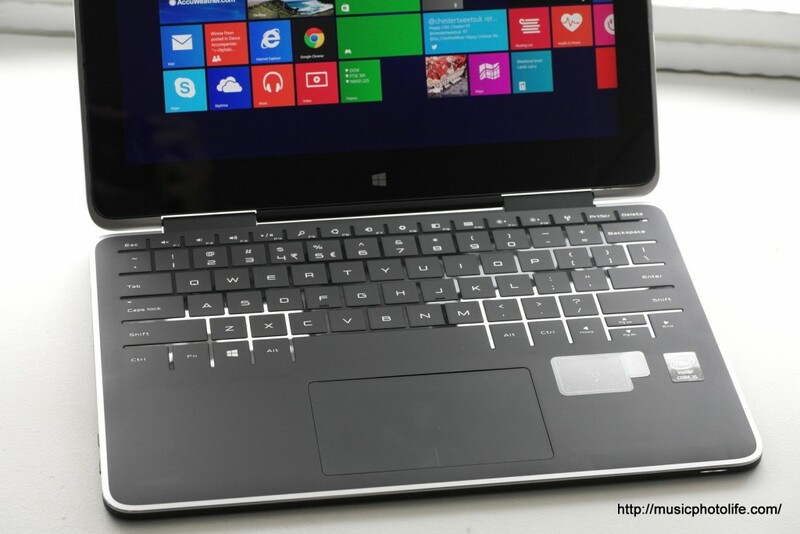 Taking design inspiration from Lenovo Yoga, XPS 11 can fold 360-degrees into a tablet mode. 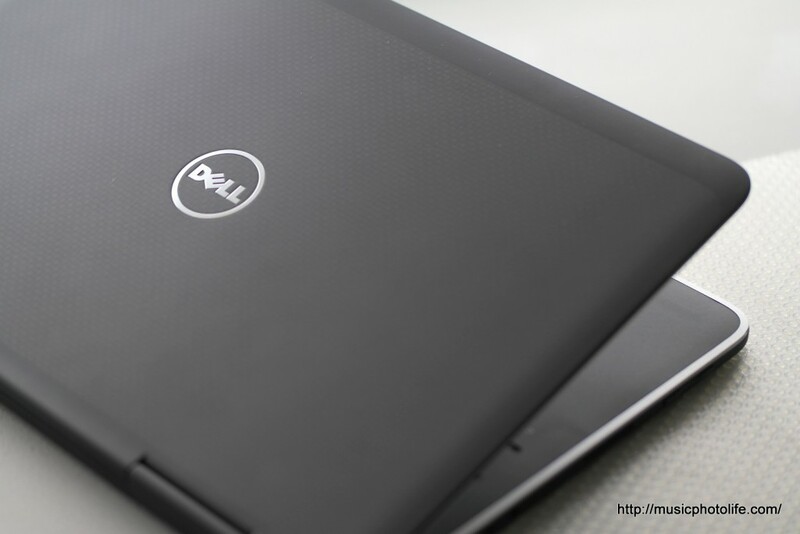 This is a complete design change from Dell’s first convertible ultrabook, XPS 12. Dell managed to move the ventilation holes to the thickness within the 2 hinges, so that the ultrabook gets ventilation in whichever mode it is folded. With small vents and quiet fan, the XPS 11 results in considerable heat around the hinges when running processor-intensive tasks, making it impossible to rest the XPS 11 directly on my bare-skin lap. Dell decides to offer a touch keyboard similar to Microsoft Surface, with back lighting. 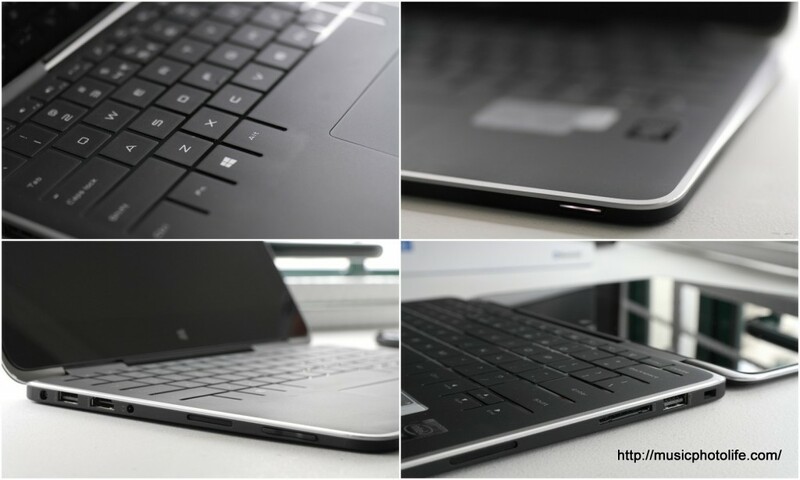 The non-mechanical keys means the keyboard does not get in the way when the XPS 11 is folded into stand mode or tablet mode. The touchpad remains clickable, though. For consumers who still prefer the traditional keyboard actions, the XPS 11 might not come across as an ideal workhorse, but it works rather well once you get used to the feel. As long as you hit the keys right, there are no apparent lags. And unlike touchscreen keyboard, I can rest my fingers on the keys without activating the keystroke. My only gripe is that I tend to miss the keys since I am not able to feel the keys, especially the bottom row due to the seamless flush with the palm rest. Although the XPS 11 screen size is 11.6-inch, there is ample room to house a full-size keyboard for comfortable typing, and roomy bezel for a good grip in tablet mode, albeit too heavy for my liking. Apart from the now-standard USB 3.0 ports (one on each side), the XPS 11 includes a full-size HDMI port, which is awesome. There is also the usual 3.5mm audio port and volume rocker buttons. An SD card slot is found on the right side, and like many new ultrabook designs to save space, you cannot insert the SD card fully. The power button is located at the lower right corner of the keyboard. 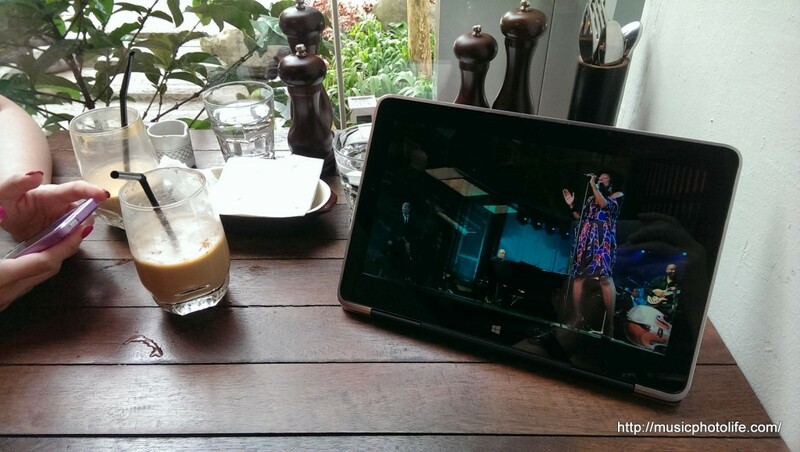 The XPS 11 weighs only 1.13kg, so light, I can bring it with me anywhere. The thickness when closed is merely 11mm. In comparison, the average thickness of the latest iPad Air is 7.5mm. It boots up in less than 15 seconds, even faster if you leave it on sleep mode, all thanks to Windows 8.1 and solid state drive (SSD). 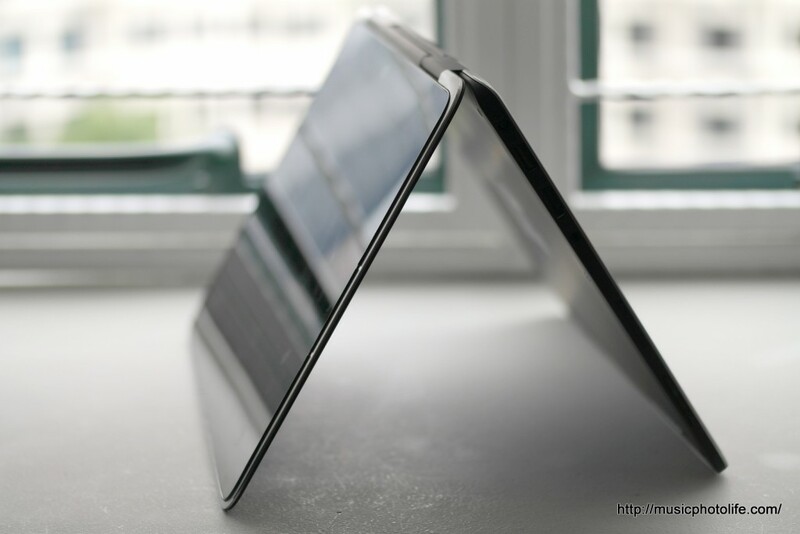 While it is very light by laptop standards, it is still too heavy for hand-held tablet use. Nevertheless, it is good to have a computing device with multiple viewing modes for whatever situation you require. With the above specs, one should not expect blazing performance when running intensive applications. It is a combination that achieves speed, performance and battery life. A higher-spec XPS 11 running on i5-4210Y 1.9GHz goes for S$1999. With a built-in 40WHr 4-Cell battery, the XPS 11 gives impressive battery life, about 5 hours and more depending on what you are working on. You may check other reputable tech sites for a benchmark on how long exactly a single charge could last, but all I have to say is that the XPS 11 does not give me any battery-shock throughout the period of my review, and that is already very commendable. I can leave it on sleep-standby for days without significant impact to battery. I am glad that laptops are building better speakers within the constraints of the form factor. XPS 11 has great stereo clarity in mid-high range and expectedly non-existent bass, but is loud enough to let me hear the contents in a noisy café that emits 75 decibels noise level. The Waves MaxxAudio 5 did a great job at optimising the sound. For a 11.6 inch screen size, having a Quad HD (2560×1440) display might be an overkill, but one apparent benefit is that when the default display size is set to 200%, the desktop size looked natural. The display angle is impressive, although it appears to have inconsistent back lighting when viewing at various angles. 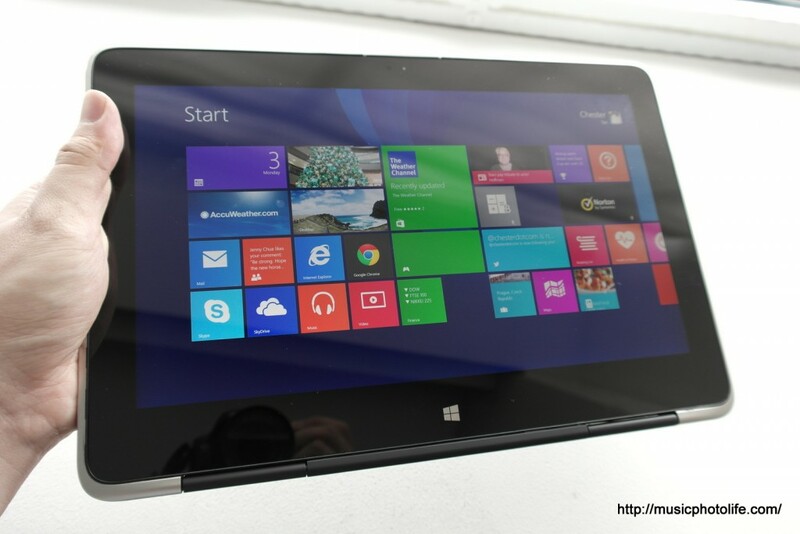 My first Windows 8 laptop I bought was the Lenovo Yoga 13. Since then, laptops have longer battery life, reduced weight, and improved performance stability. XPS 11 is one such laptop that delivers all the advantages at a reasonable price starting from S$1699. The only major hate I have is the keyboard, but I guess it is a price to pay for design. The XPS 11 might not be an ideal ultrabook for a workhorse who needs a reliable keyboard performance and blazing processing power, but it works very well for me for its size and weight.